The issues Chief Spence is raising -- terrible living conditions, deep neglect, poverty and powerlessness -- will not go away, and will not disappear in the face of attack. They are the shame of our nation and must be addressed. But the Conservatives have rejected replacing the Indian Act with a real transfer of power, and the implementation of the self government agreements which all Canadian governments agreed to in Charlottetown 20 years ago. They have offered nothing that even begins to address the issues. We shall all pay a heavy price for this lack of leadership. Bob Rae Speaker, Writer. Political Leader. Active on First Nations, Social Justice, International issues. Liberal. Canadians like to think of ourselves as living in a peaceable place, where the values of caring and sharing are hallmarks of who we really are as a country. This cheery self-image fails to face up to some harsh facts about our history and current reality. Prime Minister Harper once said that "we have no history of colonialism." This is simply false. When Europeans came to these shores centuries ago, they did not find an empty wilderness, a "terra nullius" where no one lived. Quite the contrary. Aboriginal people had been living here in vital, complex communities, for thousands of years. For millennia before the European settlement, this land was their land. The encounter between these two civilizations was brutal and violent, and we live with its consequences today. 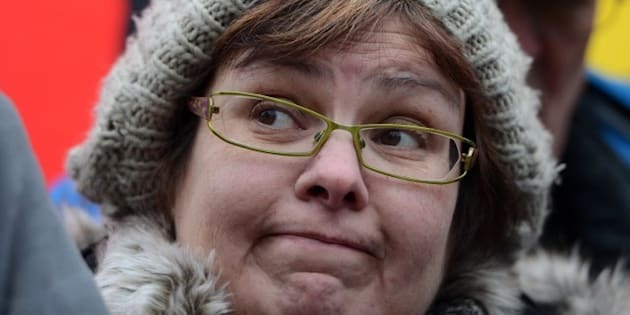 Many Canadians have been baffled by the decision of Theresa Spence, the Chief of the Attawapiskat First Nation to carry out a hunger strike to demand that Prime Minister Harper meet with her and other aboriginal leaders. Why not just follow the accepted channels? Why upset the normal ways of communicating? Let the social scientists try to explain how deference has disappeared in our increasingly divided society. The great American writer James Baldwin once wrote of the growing demands of American blacks for justice as The Fire Next Time. Chief Spence's hunger strike, carried out with dignity and determination, and the broader Idle No More campaign, which has gone beyond the traditional politics both within and outside the Aboriginal community, are based on a deep sense of frustration, of promises broken, of conditions that no people in Canada should have to accept. Federal and provincial governments face a fire of resentment and anger not next time, but this time. To ignore it, as the Conservatives and some provinces have done, is to court disaster. It is a universal in life that people want recognition and respect. The deeper meaning of last year's summit, and the Prime Minister's eloquent apology in the House of Commons, is that there is a hunger for this respect, and appreciation when it is offered and followed with effective action. The Prime Minister faces a deep challenge. Many in his party are opposed to the recognition and constitutional protection that Aboriginal people have achieved, and to its implications. At the same time, the old bromides of assimilation and "let's concentrate on education and the economy" completely ignore the aspirations for self-government, autonomy, and a real transfer of power and resources that have the deepest roots in today's aboriginal politics. Mr. Harper's apology in the House of Commons, and the summit he called last year, have simply not been followed by effective action. Mr Harper has wisely, if belatedly, agreed to a meeting next week. But the confrontations will continue unless meetings are followed by substantive change. Mr Harper has to come to terms with a difficult truth -- the political doctrines of the Reform Party have nothing to contribute to what needs to be done. His decision to cancel the Kelowna Accord, signed with the aboriginal leadership and every Premier, was a sign of profound disrespect as well as a massive cut in investment in housing, education, and self government. It was worse than being dishonourable. It was a mistake. He needs to accept that change starts with him and his government. In November National Chief Shawn Atleo sent a letter to the Prime Minister complaining that by any measure the plans set out last year after the much touted summit were not being met. The letter was ignored. A year ago Chief Spence's community was forced into third party administration, a clear sign that those who complain will be slapped down -- and this was followed by a sustained media attack against her by the Conservative propaganda machine that believes the only good defence is to attack, attack, attack. But the courts found that there was no basis for the government's decision, and that a continuing lack of money, not any alleged "maladministration" was the real cause of the housing crisis in Attawapiskat. The issues Chief Spence is raising -- issues of terrible living conditions, of deep neglect, of poverty and powerlessness -- will not go away, and will not disappear in the face of attack. They are the shame of our nation and they must be addressed. The Conservatives have rejected replacing the Indian Act with a real transfer of power, and the implementation of the self government agreements which all Canadian governments agreed to do in Charlottetown twenty years ago. They show no understanding of the significance of treaties and the meaning of a "nation to nation" relationship. They have offered nothing that even begins to address the issues, and we shall all pay a heavy price for this lack of leadership.